Whether you plump for a pastel hue or go full-on magenta, there’s no doubting pink creates a gorgeous look at your window. 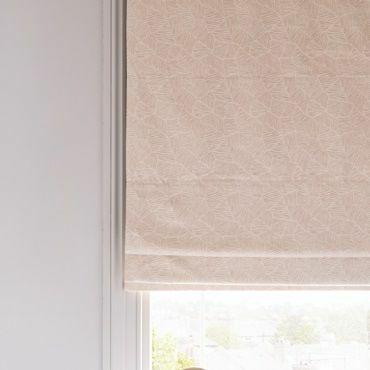 Browse our range of pink Roller blinds for a touch of pink in any room. With everything from pastels to brights, our pink Vertical blinds collection has it all. 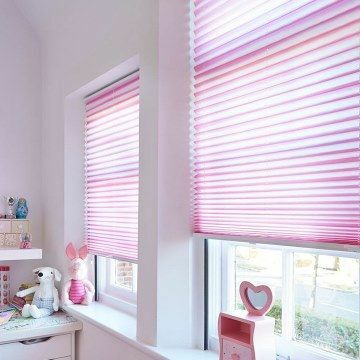 Browse our range of pink Venetian blinds, perfect for injecting a touch of pink. View our range of pink Pleated blinds, perfect for any room looking for a touch of pink. View our range of pink blackout blinds, perfect for any room looking for a touch of pink. If you’d like your décor to be ‘in the pink’, the key is choosing just the right shade to suit your scheme. Soft pink blinds have a romantic appeal, while bright fuchsias create an eye-catching look. Once you’ve decided to ‘think pink’, the only question is which of our gorgeous pink blinds to go for. Within the Hillarys blinds range, we’ve plenty of colours and designs, from on-trend delicate shades to fiery tones that will add a splash of vibrancy to your window. Pale palettes are perfectly suited to delicate floral patterns, or you can liven things up with vivid sherbet style stripes. And if understated elegance is the order of the day, plump for a plain pink blind. Book a free home appointment and your local Hillarys advisor will bring our range to your home, so you can browse in comfort. 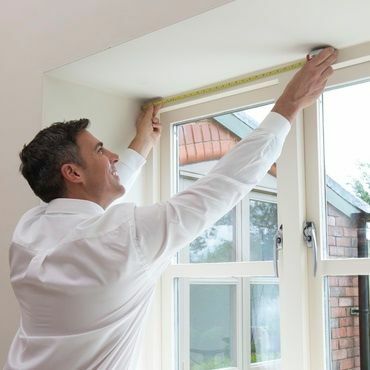 They will offer expert advice to help you choose the perfect blind for your room and measure your windows before leaving you with a no-obligation quote to consider.